Carrie's grandmother is always knitting surprises for the family, but never knits anything for herself. 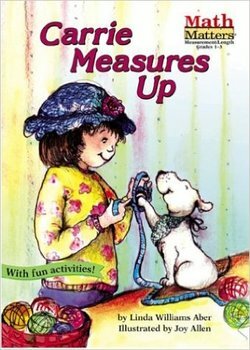 When she asks Carrie to be her measuring girl, Carrie decides to knit Grandma a big surprise. This title teaches readers the concept of linear measurement.